The world in which we live and work is changing rapidly. We are working harder, for longer and for less money, with the ever-present fear that our jobs might be subsumed by robots in a few years. These changing patterns of work and business and the conflicts they create are a source of fascination for Professor Peter Fleming, Professor of Business and Society at Cass Business School. His research examines the changing relationship between business and society, with special emphasis on new patterns of conflict in the workplace, the evolution of management ideologies and the rise (and fall) of corporate social responsibility. He has also studied the causes of organisational corruption in the private and public sectors. Professor Fleming’s recent book, The Death of Homo Economicus: Work, Debt and the Myth of Endless Accumulation (Pluto Press, 2017), explores what he describes as “the oppressive myth” of working hard and seeks to understand why we do this and why we think working such long hours will bring us wealth and happiness. In the book, Professor Fleming argues that the desire to compete and accumulate constantly is now creeping into all aspects of our lives and this must be resisted if we are to create a better way of life for all in society. 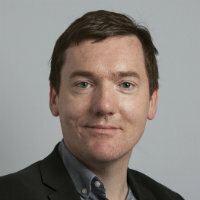 Professor Fleming also examines the perils of today’s increasingly informal workplaces with his research suggesting that when managers try to make companies more casual (for example, by encouraging employees to bond over the drinks trolley or play tennis together), they can end up introducing bias. He agrees that bureaucracy can hamper productivity, rendering office life dull and monotonous. But, he argues, when humanity is given a place in the office, much darker emotions can come to the surface, along with the intended benevolent feelings of companionship and shared purpose. Professor Fleming says adding power into organised social situations can be risky because it means there is a danger of favouritism creeping into career progression decisions, with employees who don’t want to socialise with colleagues or take part in ‘fun’ activities likely to be at a disadvantage. When it comes to finishing our time at the coalface, the UK faces a ticking retirement time bomb, something which Professor Fleming also feels strongly about. An ageing population, longer life expectancy and the state pension scheme are conspiring to mean future generations may feel compelled to work until their ninth decade. But Professor Fleming argues that this doesn’t need to be the case. He says directing government money towards funding healthcare and pensions and away from private sector corporate subsidies would be a good start towards balancing inequality. He suggests there should be a cross-generational alliance with retirees and millennials working together to campaign for better labour conditions, housing, retirement and care options, instead of arguing about who is worst off. A leading media commentator, Professor Fleming writes a regular column in The Guardian focusing on the changing politics of capitalist employment relations. His work has also appeared in the Financial Times, on the BBC and ABC Radio National (Australia). Professor Fleming teaches on the MBA courses at Cass and supervises doctoral students. Originally from New Zealand, he undertook his PhD at the University of Melbourne, Australia and has previously held positions at the University of Cambridge and Queen Mary University of London.